"Pagalon Sa Naach" Is Basically A Completely ​*Pagal*​ Song!! Remember that beer scene from “Humpty Sharma Ki Dulhania” where Alia and Varun start dancing like crazy? We loved that crazy dance, and we think that it’s the best thing to do at sleepovers with our girlfriends, isn’t it?! Playing crazy music and dancing like drunkards even when you’re sober - that’s the type of fun we want to have with our friends. This song “Pagalon Sa Naach” from the movie Junooniyat is a completely *pagal* song and the video is giving us the same feels that the song “Balam Pichkari” did. Watch the video, and you’ll know what we’re talking about. So, what are you waiting for? 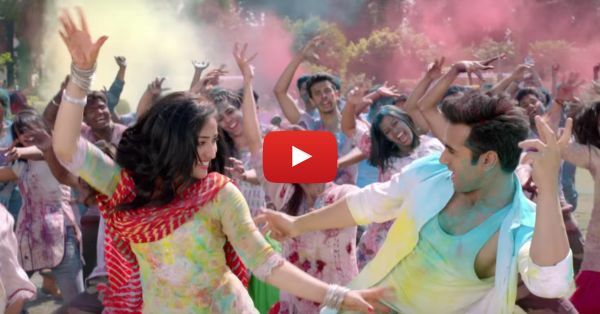 Call your friends, play this song and do the insane dance…!! PLUS: Subscribe to POPxo on YouTube for original videos + our favourite videos from around the web!